Does TimeToSchool come with Mobile app? Yes, TimeToSchool comes with fully functional mobile app for Management, Staff and Parents. 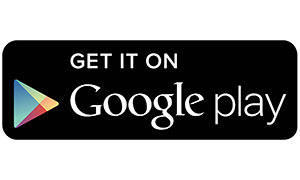 App are available for both Android and iOS devices. Is it mandatory for the school to continue and pay for service after the trial pack has expired? Absolutely NOT. The school can completely unsubscribe all TimeToSchool services if they are not satisfied during their trial period. Is it mandatory to purchase SMS along all TimeToSchool package? Not at all. All features of TimeToSchool can function the same way without SMS as well. Parents get instant push notification in their mobile app once an update is posted by the school. So purchasing SMS along TimeToSchool packages is not necessary. Does the BusTrack Transport app service provide app for drivers? Yes, there is a mobile app provided for the drives in BusTrack service. The driver has to start the app once the commute starts. The drivers can also choose different routes in the app so that it becomes easy for the school even if a driver is allotted for a different route in a particular day. What is the validity of each subscription cycle? Each subscription cycle comes with a validity of 12 months. However if as school wishes to sign-up for a longer period (24 months, 36 months, 48 months), they can do so and avail discounts. Can a school with very less student count use TimeToSchool services? Definitely. 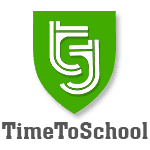 Any school, irrespective of their student count of size can use all TimeToSchool services. We serve school which have 20 students and also schools with more than 4000 students.